Slow Cooker Hoisin Chicken is a healthy crockpot dinner that features chicken thighs cooked in an easy Asian sauce. 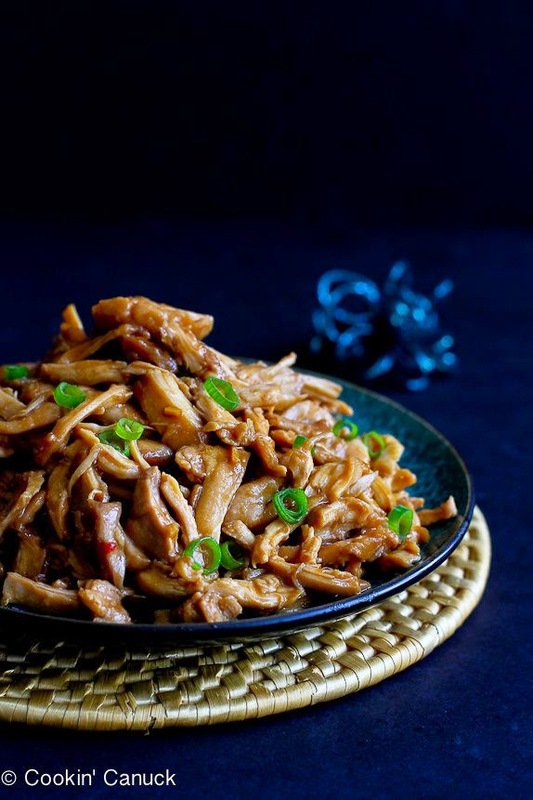 For Friday Favorites we spotlight past recipes that you may have missed, and my sister Pam’s family gave rave reviews to this Slow Cooker Hoisin Chicken from my friend Dara at Cookin’ Canuck so I know it’s a healthy meal your whole family will enjoy! We’re focusing on healthy slow cooker options during January, and this Slow Cooker Hoisin Chicken is a perfect example of how healthy food can still be oh-wow tasty. This amazing-sounding dish only takes a few hours to get on the table, and Dara includes weight-watcher points and nutritional information. Get complete instructions for Slow Cooker Hoisin Chicken at Cookin’ Canuck. Dara uses an oval-shaped Six Quart Slow Cooker for this recipe. Use the Recipes-by-Photo Index for Chicken to see all the slow cooker or pressure cooker chicken recipes that have been featured on this site. I love making hoisin chicken in the slow cooker. Dara's recipe looks great (and thanks for linking to mine). Lydia, I can tell that this combination is one I need to try! Thanks so much for featuring my recipe, Kalyn! I have lost track of the number of times that I've made this recipe. It's so easy and my family BEGS for it! Dara, I can see why, this looks fantastic!